Deathtone: Melodic death metal band, known before for covering Children Of Bodom. They will be playing their original songs. 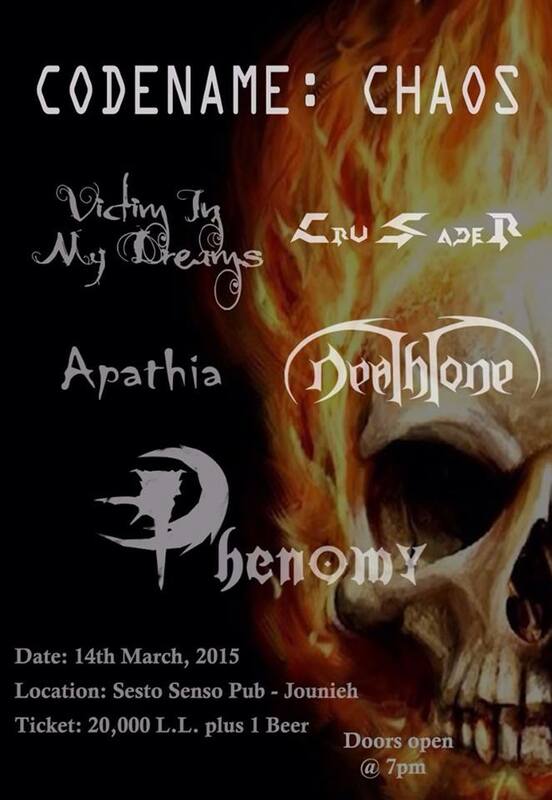 Apathia: Groove metal band from Tripoli covering Lamb of God, Pantera, and Sepultura songs. Victim In My Dreams: Metalcore band that covers bands like As I Lay Dying, Killswitch Engage and others. Crusader: A tribute band to Trivium.